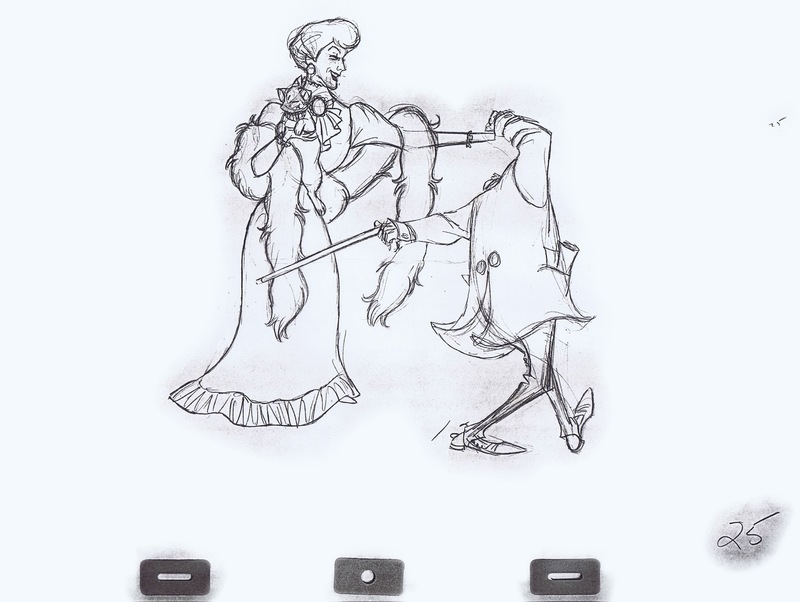 …these two characters show different states of mind. Madame Bonfamille is a little exhausted and relieved that the frolic has come to an end, while Georges Hautecourt keeps on boogieing. 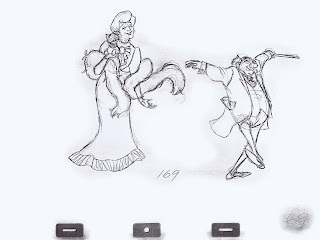 The dance was his idea anyway, and you can see Madame's initial reaction on the xeroxed cel above. Xeroxed scenes, especially when drawn this rough, only work for me when draughtsmanship and animation are outstanding. 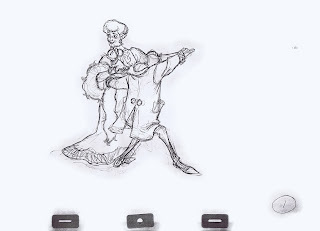 That's certainly the case here, because the artist is Milt Kahl. 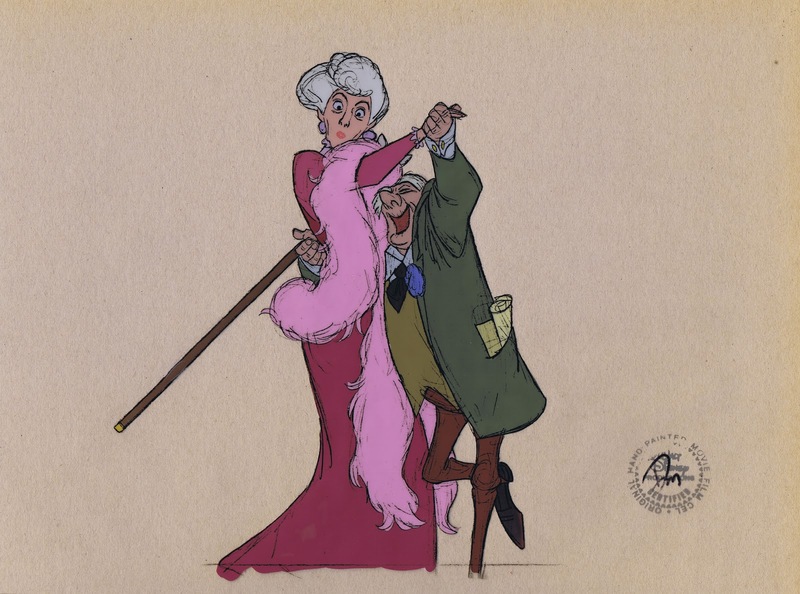 Milt portrays Madame with elegance and French charm while the decrepit lawyer is still very much young at heart. 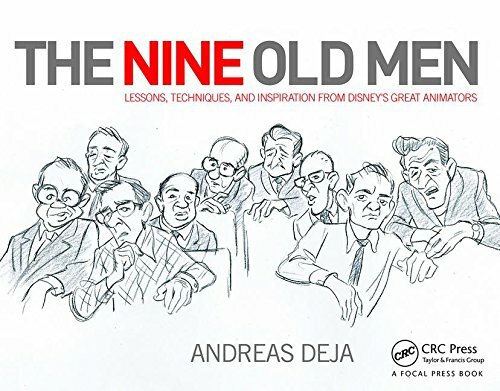 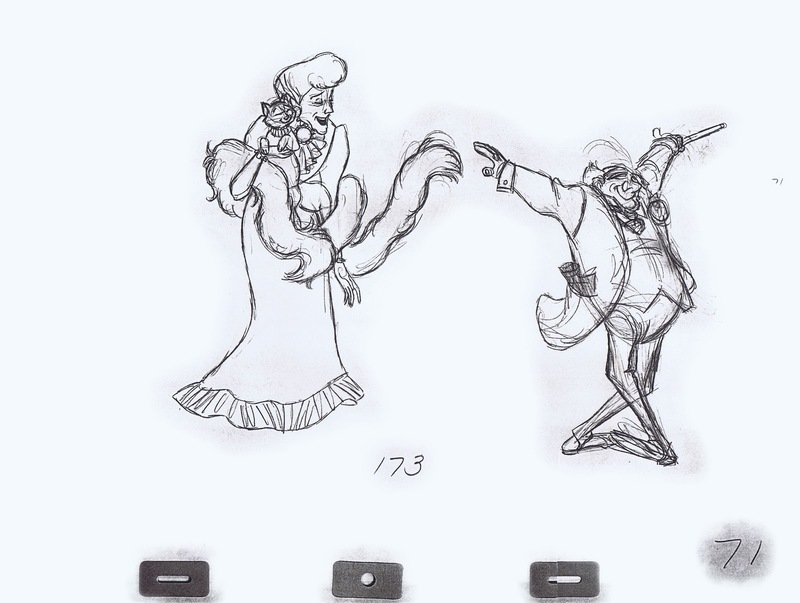 Their degree of caricature might vary, but there is a unity in the character design that makes them work together. And of course the contrast in their personalities allows for interesting character animation. 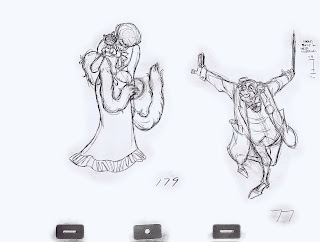 Sure, here and there Milt might have overused a head nod or shake in his acting, but on the whole this is a remarkable sequence within the opening of The Aristocats. The idea to have these two seniors break into dance while they reminisce about old times is wonderful to watch. 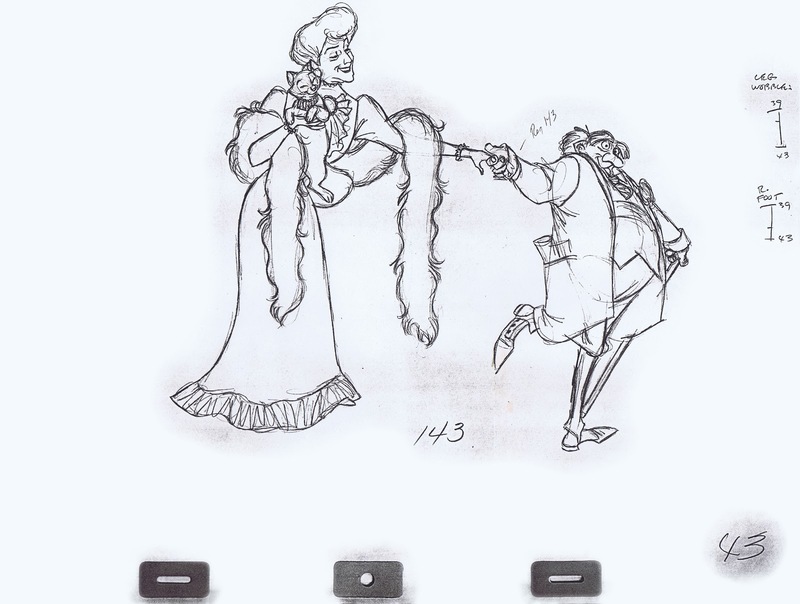 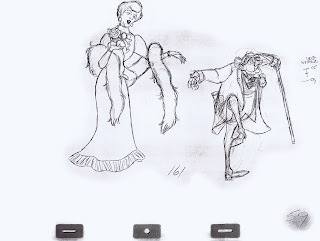 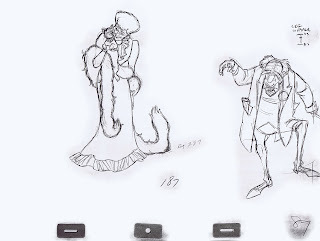 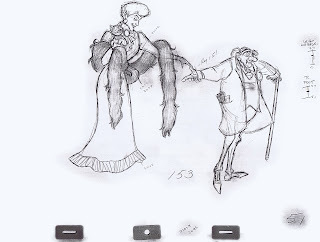 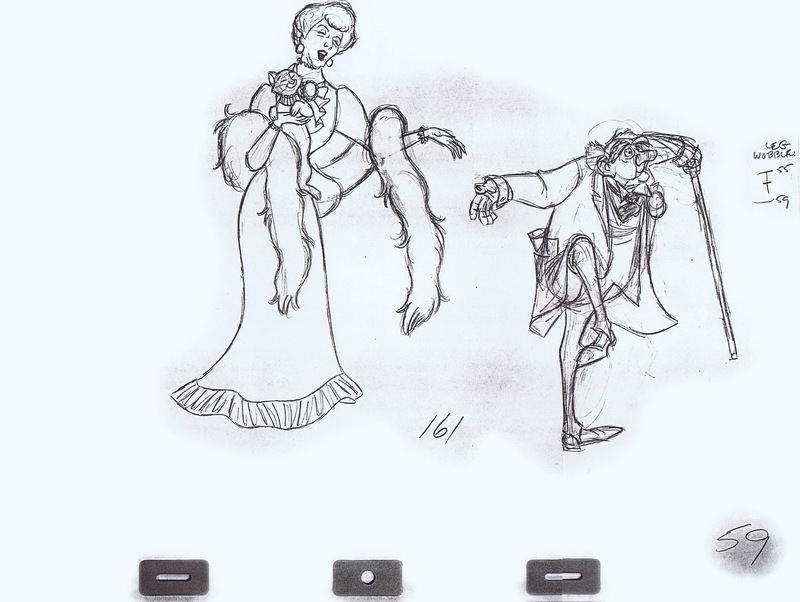 Below are copies of key drawings from the scene that shows the tango coming to an end. 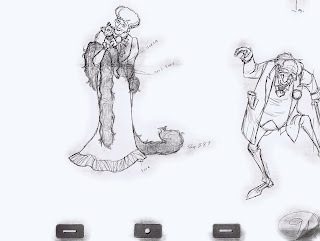 The definition and overlap of clothing in the lawyer's jacket as well as Madame's dress and boa. 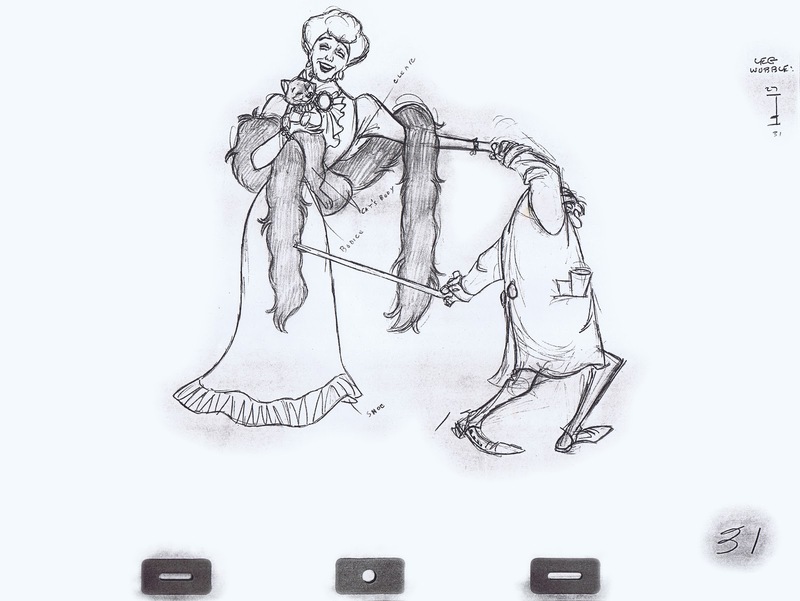 Hautecourt's knee wobble after each foot contact, and some daring facial perspectives. 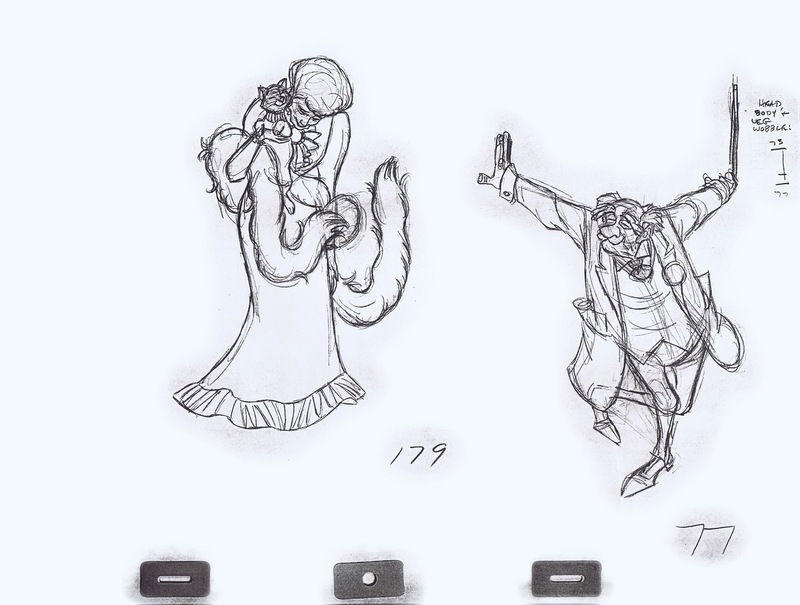 All this was done without any live action reference.